Steven F. Belcher, founder and president of Belcher & COMPANY was born and raised in Pascagoula, MS. After graduating from Pascagoula High School in 1979, he attended Florida State University graduating in 1983 with a Bachelor of Science in Business Administration. He immediately enrolled in the Masters program at the University of Mississippi receiving an M.S. degree in Healthcare Administration in 1985. The seeds that would eventually become Belcher & COMPANY were planted when Steve entered the insurance business in 1985. He spent the first 10 years of his career with a major insurance company wholesaling employee benefits. 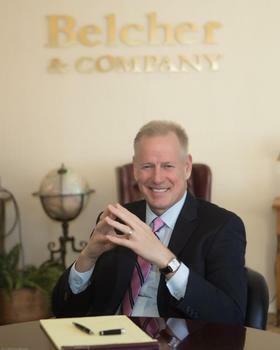 In 1995 he left a position as Vice President of Sales and Marketing to launch his own insurance and financial services practice, the beginning of Belcher & COMPANY. With a primary affiliation as an agent with New York Life Insurance Company, Steven holds his Life, Health, and Variable Annuity license and is a licensed Registered Representative offering securities through NYLIFE Securities LLC (Member FINRA/SIPC), A Licensed Insurance Agency. In addition, he is an Investment Adviser Representative with Eagle Strategies LLC, a Registered Investment Adviser. Steven resides in Fort Myers, Fl with his wife, Lisa and two sons, Zachary and Hunter. Away from the office Steve enjoys quality family time, watching sports and playing the piano. The recent resurgence in vinyl finds him knocking the dust off his collection of LP’s covering a variety of blues, jazz, and of course good ole rock n’ roll! Originally from Indianapolis, Indiana, Erica D. Foullois is a mother of three and grandmother of four. 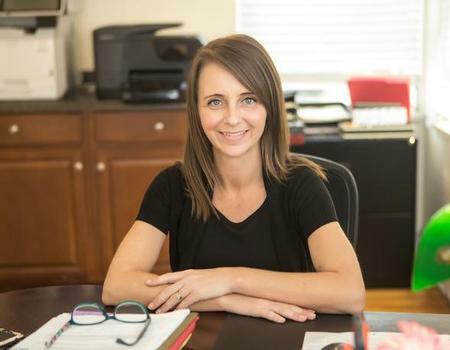 Following graduation, a unique opportunity led her to pursue a career in the property management industry where her natural people skills suited perfectly for a variety of administrative and management roles. Erica’s warm personality and love for working with people ideally positions her for the role of Director of Client Services. She is responsible for all administrative aspects of client service and is committed to ensuring nothing short of a platinum experience from start to finish for our clientele. Erica has resided in Fort Myers, Florida for the past year and while Indiana will always hold a special place in her heart, those Midwest winters do not! In her spare time, she enjoys going to the beach, crafting, and spending time with family.